AIRCRAFT FORCE LANDED AT AN INTERSECTION OF A ROAD, NEAR TAMPA, FLORIDA. 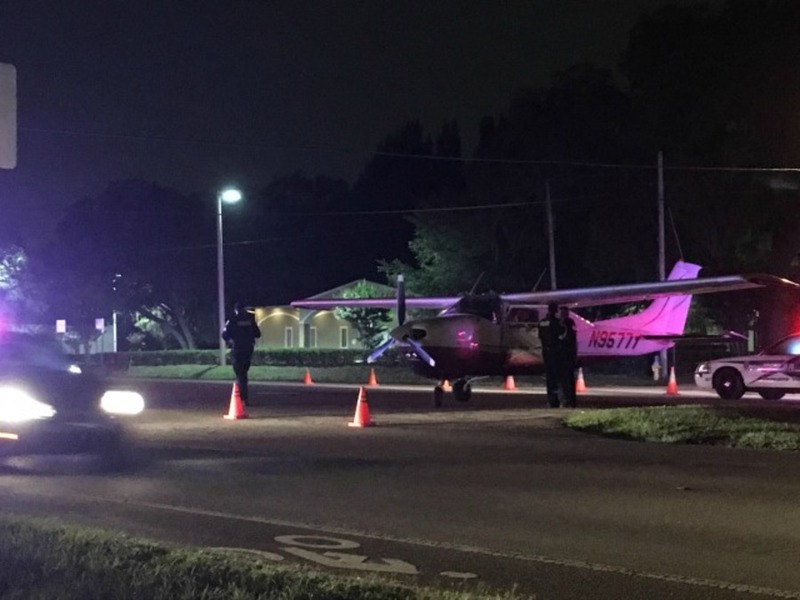 TEMPLE TERRACE — A stalled engine forced a private pilot to make an emergency landing on N 56th Street Sunday night, police said. Lefferts Mabie III was piloting the Cessna T210N Turbo Centurion from Pensacola International Airport to Peter O. Knight Airport on Davis Islands, said Temple Terrace police spokesman Michael Dunn, when the plane started to experience electrical surges over the Gulf of Mexico. Mabie, 54, of Tampa decided instead to try and land at Tampa Executive Airport, between U.S. 301 and Interstate 75, Dunn said. But Mabie had to change that plan, too. "The engine just started sputtering and died," Mabie said. He ended up landing in the southbound lanes of N 56th Street, just south of E Fletcher Avenue, at about 8:20 p.m., Dunn said. The plane rolled to a stop along the two-lane street near 127th Avenue and was towed to the parking lot of a nearby bowling alley until it could be hauled away. No close calls with road traffic were reported. The Cessna was manufactured in 1981 and the registered owner is Short Notice Inc., a Pensacola-based corporation owned by Mabie, according to Federal Aviation Administration and state records. Mabie is an attorney with an office in Tampa, according to Florida Bar records. An assistant who answered the phone at his office Monday said he was unavailable. The FAA and National Transportation Safety Board are continuing to investigate. 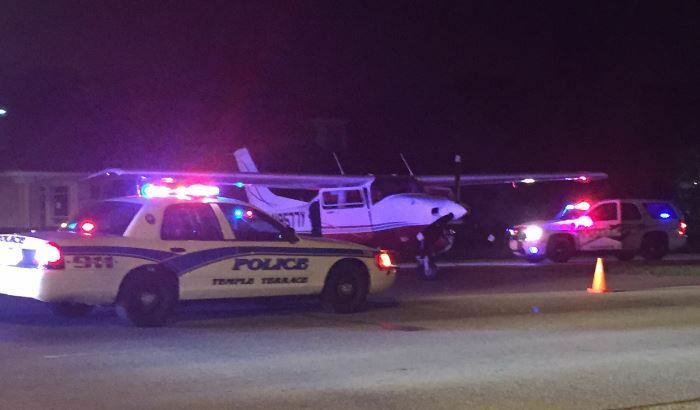 TEMPLE TERRACE (FOX 13) - A small plane was forced to land on the road Sunday night in Temple Terrace. 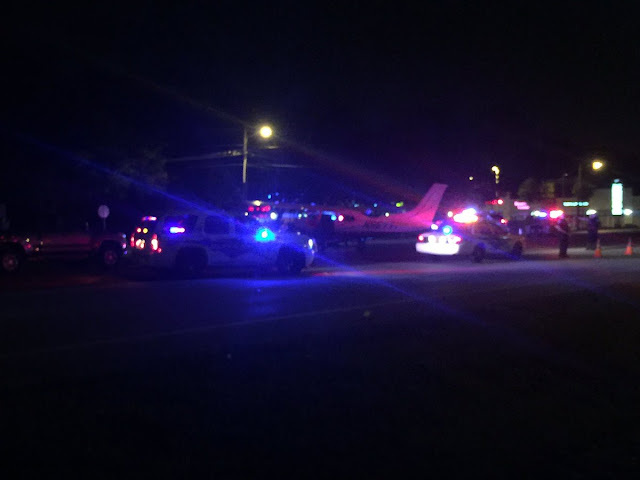 Police say the pilot landed safely at 56th and Graduate near the University of South Florida. The pilot was the only one on board and was not hurt. It’s unclear why the plane had to make the emergency landing. 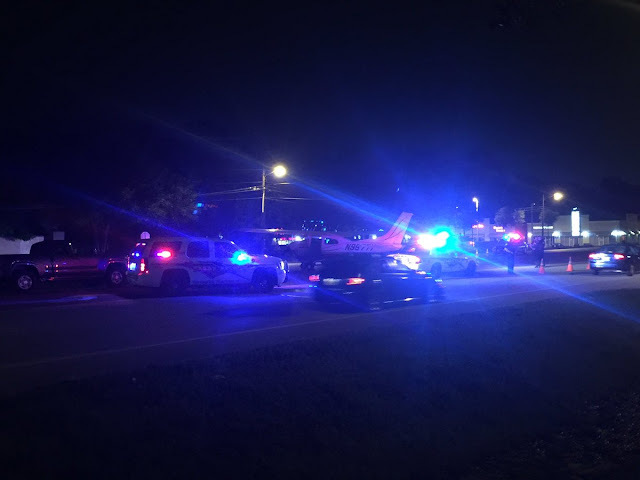 "A Cessna flying from Pensacola to Peter O. Knight Airport on Davis Island they tried to divert to Tampa Executive Airport in Hillsborough County and it landed somewhere in the vicinity of USF. We understand there aren't any injuries at this time." 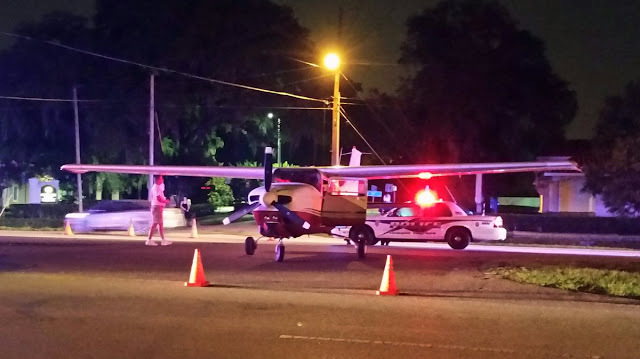 TEMPLE TERRACE, Fla - A small plane made an emergency landing on a Temple Terrace road. It happened at around 8:30p.m. Sunday. 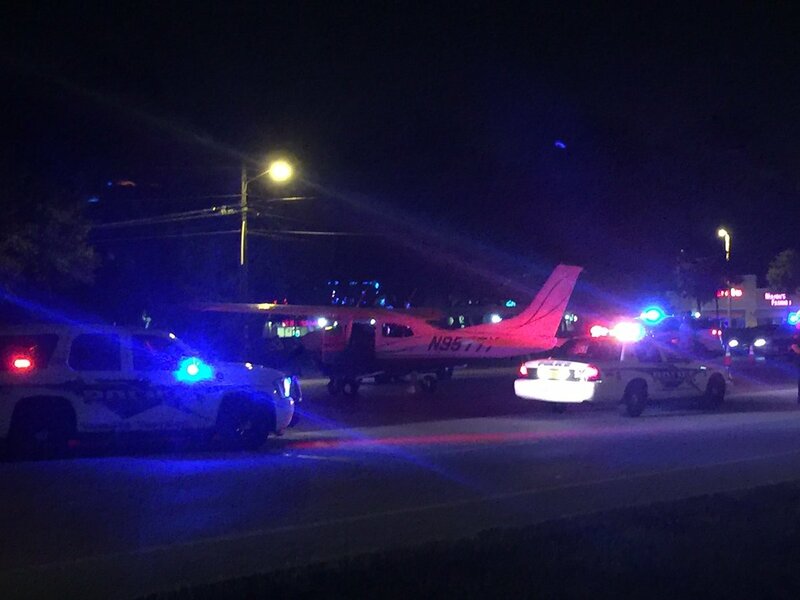 The small plane landed on the road near North 56th Street and Graduate Circle. One person was on board the aircraft and was not injured in the incident. It is unknown why the plane made the emergency landing. TEMPLE TERRACE, Fla. (WFLA) – A small airplane made an emergency landing just after 8 pm Sunday along 56th St. in Temple Terrace. Fortunately nobody was hurt during the incident and the aircraft did not appear to suffer any damage. The Cessna plane came down near the intersection of Graduate Circle. The pilot walked away from the scene unscathed. No official word on why the plane went down. Discussion of the noise problem around O'Hare International Airport has mostly centered not on the aircraft itself but on scheduling, flight paths, runway direction and sound insulation for homes and businesses. But a big factor in jet noise is what's inside the plane, such as the engine and the exhaust system. Recent breakthroughs in engine design and other changes in the next generation of commercial jets promise to dramatically reduce the roar that disrupts classrooms and North Side and suburban barbecues. The question is when there will be enough new parts and planes to make a difference. The average age of a U.S. commercial aircraft is more than 11 years old, though components can be modernized over the life of the plane, like the parts in a car. It takes time for airlines to overhaul their fleets, so it will be a few years before noise-rattled neighbors can notice what they're no longer hearing. "It's not a total cure, but they have the potential to make a significant amount of difference," Mount Prospect Mayor Arlene Juracek, chairwoman of the O'Hare Noise Compatibility Commission, said of the new designs. "There are a lot of fascinating ideas being worked out." Plane manufacturers and airlines have a big financial incentive to reduce the amount of fuel they use and fortunately, for people who live around airports, many of the same innovations that lower fuel consumption also cut noise and pollution emissions. "Fuel efficiency goes hand in hand with the quieter aircraft," said Leslie Scott, spokeswoman for American Airlines, which has been retiring its MD-80s and bringing in quieter Boeing 787-8 and 787-9 Dreamliners. "The single most impactful way we can mitigate noise is by investing in new aircraft that are quieter and more fuel efficient," agreed Charles Hobart, spokesman for United Airlines. With a program called Continuous Lower Energy, Emissions and Noise (CLEEN), started in 2000 and continued as CLEEN II last year, the Federal Aviation Administration has been working with manufacturers like GE, Honeywell and Boeing to develop cleaner, more fuel-efficient and quieter technology. The changes include lighter materials, such as swapping out metal alloys for ceramics, alternative fuels and changes in how engines handle air flow. One recent major innovation in reducing jet noise is the geared turbofan engine, produced by Pratt & Whitney and already going into planes in India and Europe. The difference between the new GTF engine and a conventional engine is that much more air moves around the engine instead of through its center, said Greg Gernhardt, commercial engines programs president at Pratt & Whitney. In a fighter jet, for example, all the air goes through the core of the engine, producing a mighty roar, Gernhardt said. Commercial aircraft have been developed over the years to have more air go around the engine — evolving from the JT8D engine of the 1960s that was "quite a loud beast," said Richard Aboulafia, an analyst with Teal Group, a Washington, D.C.-based aviation consulting firm. A modern single-aisle aircraft like the 737, has a higher "bypass," and about five times more air goes around the engine than through the core, Gernhardt said. With the geared turbofan engine, 12 times the amount of air goes around the engine as through it, Gernhardt said. The noise difference if you're in a Wood Dale backyard is like the contrast between a lawnmower and an electric razor, Gernhardt said. "The engine is still providing plenty of thrust, but you don't have to use as much fuel to move it, and you don't have to hear that noise," Aboulafia said. Pratt & Whitney has sold 7,100 GTF engines for a variety of aircraft, including 737s, Airbus 320s and Embraer 190s and 195 E2s. The process of getting engines into planes takes time — worldwide, about 1,200 planes will get the engines in the next four years. Another new engine is the CFM LEAP-1A, created through a joint venture between GE and Safran, a French company. This high bypass engine, which will go into Airbus 320neo planes, promises double-digit reductions in fuel consumption and CO2 emissions as well as cuts in noise. Boeing has tested an engine nozzle made of a ceramic matrix composite, designed to reduce noise, weight and fuel consumption. The Chicago-based company said it also is working with airlines and operators to develop new takeoff and landing procedures to cut community noise, such as slightly higher descent angles. Rolls-Royce has been using acoustic liners in jet engine housing to cut noise, according to the company. Whether the reduction in noise will significantly reduce complaints depends on a number of factors, including the number of jets, flight paths and the sensitivity of residents. Improvements in jet technology over the decades already has made a difference. In 1979, the O'Hare "noise contour" — that is, the area affected by airport noise, was 89.3 square miles, according to the O'Hare Noise Compatibility Commission. Phasing out noisy older jets helped reduce the contour to 21.2 square miles by 2002. By the time of the full O'Hare expansion build-out in 2020, it's expected to be 17.6 square miles. But noise complaints shot up dramatically in recent years after the city began shifting traffic from older diagonal runways to new parallel east-west runways, which concentrate more traffic over the North Side and the western suburbs. Some area residents who hadn't been affected by jet noise before began to hear it. The city got more than 4 million noise complaints in 2015, and Fair Allocation in Runways or FAiR, a group that represents city and suburban residents, is concerned that the planned closing of the diagonal runway 14R/32L in late 2018 will make the situation worse. FAiR member Al Rapp of Park Ridge, said it's good that newer planes will be less noisy than planes flying around now. But he said O'Hare is planning for greater future capacity, which Rapp fears could cancel out airplane design improvements. "The noise contour will go up instead of down because the capacity will go up, so we'll have more planes at closer intervals," Rapp said. The pilot of the tailwheel equipped airplane reported that during the landing roll the airplane veered sharply to the left, and the left wing impacted the runway. The pilot further reported that the airplane continued to turn to the left off the runway onto loose soil and nosed over. The airplane sustained substantial damage to right lift struts. According to the pilot, there were no preimpact mechanical failures or malfunctions with the airframe or engine that would have precluded normal operation. The pilot's failure to maintain directional control during the landing roll, which resulted in a runway excursion and a nose over. 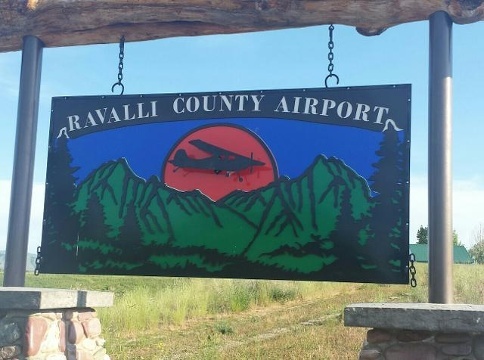 A plane crashed as it was landing at the Ravalli County Airport on Sunday. At about 10 a.m. Sunday, first responders from the Ravalli County Sheriff's Office, Hamilton Volunteer Fire Department and Marcus Daly Memorial Hospital arrived on scene after hearing reports of a fixed-wing aircraft crash on the runway at the Hamilton airport. Three men, including the pilot, were on board. One of the passengers was taken to the emergency room with neck and back pain. The pilot and other passenger were uninjured. "The initial investigation indicates the pilot was attempting a routine landing and did not report any mechanical problems with the aircraft," according to a news release. "The aircraft was on the runway when the plane veered to the left causing the wing to strike the ground. The aircraft flipped once and came to a stop resting on its top." The plane and its pilot are from Oregon, though they were flying from Idaho. The Federal Aviation Administration and National Traffic Safety Bureau are investigating the crash. MISSOULA, Mont. - A small airplane crashed while landing at the Hamilton Airport Sunday morning at 10 A.M. The aircraft was occupied by three adult males including the pilot. One of the passengers was transported to a local emergency room with neck and back pain. The pilot and the other passenger were uninjured. The pilot and the aircraft were flying from Idaho. The pilot was making a routine landing and did not report any mechanical problems with the aircraft. The aircraft was on the runway when the plane turned to the left, causing the wing to strike the ground. The aircraft flipped once and landed on its top. In a press release, Ravalli County Undersheriff Steve Holton says he's thankful for no fatalities and he appreciated the quick response from emergency medical crews and firemen. The Federal Aviation Administration and National Transportation Safety Board have been notified and the crash is under investigation. The runway was closed for a short amount of time after the crash. It has been more than 40 years since Perrin Air Force Base was decommissioned, bringing an end to an era for Texoma. While the days of military training are a distant memory for man, local officials are looking to bring back part of that past by performing military flight training to North Texas Regional Airport — Perrin Field. 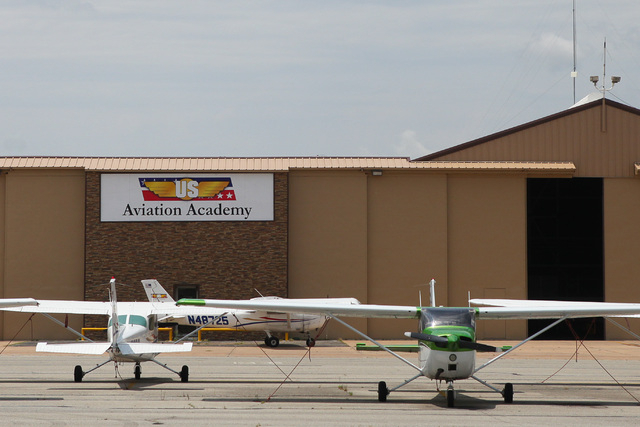 Officials with US Aviation Academy, a flight school which operates a campus at NTRA, are currently looking to acquire a 10-year contract to hold U.S. Air Force initial flight training at the airfield. Officials said they plan to submit a proposal to the U.S. Department of Defense for the contract by June 30. The contract is currently held by Doss Aviation, operating out of Pueblo, Colorado. Taylor said this contract would cover the first of four stages of flight training for potential Air Force pilots over the course of 30 to 60 days. Taylor valued the contract at $250 million-$290 million over the course of 10 years, depending on the number of students. In one year, the school could see between 1,500 and 1,950 students, with an average class size of about 130 to 210, he said. Previously, US Aviation acquired a similar contract through the U.S. Department of Defense to train military pilots from allied countries at its facility in Denton, including Nigeria and Poland, Taylor said. Currently, the company provides training for commercial pilots from across the world, with about 120 students, primarily from Asia, taking classes now. “The three things (the Department of Defense) looks at are past performance, management performance and cost effectiveness,” Taylor said, highlighting previous training experience and cost effectiveness as US Aviation’s strengths over Doss Aviation. Under the new contract, Taylor said the training of foreign pilots and remote drone operators will be included in the scope of training. If US Aviation is awarded the contract, Taylor said it will represent a large investment by the company in the airfield, with 120 new full-time jobs created to cover the new operations. In addition to a $25 million investment for new aircraft from the program, US Aviation will need to complete work on the airport’s north alert hangar and construct a 200-unit facility to house the pilot trainees. “That means jobs for construction and redevelopment of Perrin Field,” he said. Taylor said the contract would not interfere with its current flight school operations and both would still be able to take place at NTRA. “That is the beauty of NTRA — its size allow us to do both of these operations uninterrupted,” he said. In describing the economic impact of this contract, Denison Development Alliance Vice President William Myers said it isn’t like many other developments. Compared to other businesses, it represents few jobs, with most carrying an above-average salary. Instead of bringing its income from the community itself, Myers compared it instead to Texoma Medical Center in that much of its funding would come from outside sources, bringing fresh money to the economy. Myers also noted that the pilots will be living, shopping and spending money in the community while they train for two months. Officials with the county, DDA and Sherman Economic Development Corporation said they support the project but feel it is too early in the process to offer incentives for the operations. However, officials said there could be talks in the future of how these organizations can help in the effort. Beyond the direct economic impact of the contract, Taylor said the increased operations would bring an additional 40,000 flight hours for pilots operating out of NTRA. This could help the airport in its ongoing efforts to enter into the Federal Aviation Administration’s contract tower program, he said. Through this program, the FAA would provide $500,000 in funding for the airport’s control tower, resulting in more personnel and overlap hours for the facility. It would also save the county $275,000 in funding for the facility. 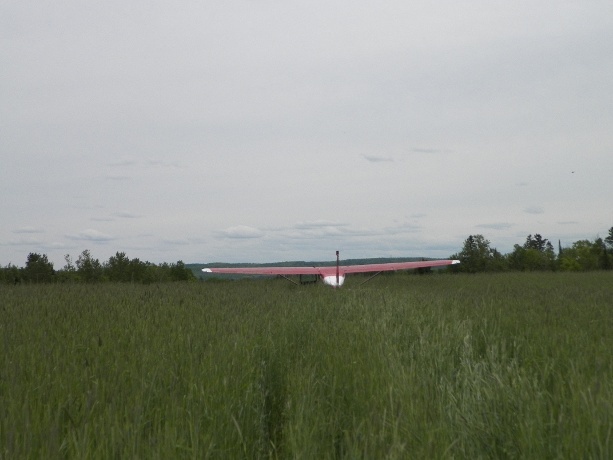 AIRCRAFT FORCE LANDED IN A FIELD, WESTFIELD, MAINE. WESTFIELD, Maine (NEWS CENTER) -- Two pilots were forced to make an emergency landing on Sunday when the plane they were flying developed engine trouble. Craig Maynard and his father, Rodney Maynard, were flying their Cessna 172C Skyhawk in the Westfield area when the troubles started. Rodney spotted the field and Craig was able to get the plane turned back around to make the emergency landing. The two had departed from the Houlton Airport, did a touch-and-go landing at the Presque Isle Airport, and were returning to Houlton when the plane started having engine problems, Maine State Police said. No one was injured in the crash and the plane was not damaged. Last summer Craig and Rodney made an emergency landing on Interstate 95, in Houlton, after the same plane had engine trouble. The pilot of the single-engine airplane stated that he departed on a cross country flight but did not visually check the amount of fuel in the main tanks before departure and relied on his fuel gauges, which indicated 2/3-full (left tank) and 1/2-full (right tank). Both wingtip fuel tanks were empty. The pilot departed with the fuel selector on the left main tank. He then switched over to the right main tank while en route, but noticed the needle on the fuel gauge was not moving as the flight progressed. The flight was uneventful and the pilot made an instrument approach into his destination airport; however, he had to execute a missed approach due to low clouds. During the missed approach procedure he entered visual conditions and asked air traffic control (ATC) if he could maintain visual conditions and circle to land. The pilot said that as he was turning crosswind the engine began to run rough and stopped producing power. 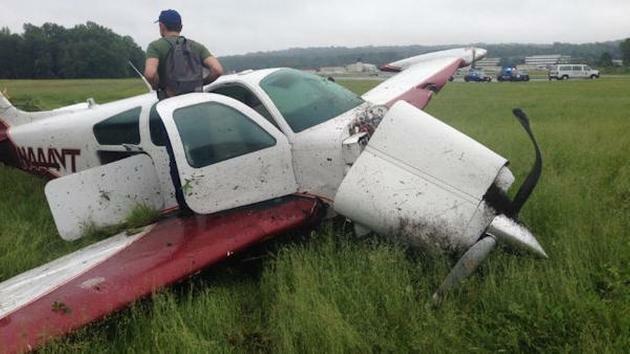 He tried to re-start the engine twice as he prepared for a forced landing to a closer runway. The pilot did not have time to switch the fuel selector to the left tank and ended up striking trees and landing short of the runway threshold. A postaccident examination revealed substantial damage to the firewall and fuselage. The landing gear was also damaged. Neither the left nor right wing fuel tanks were breached. About 20 oz of fuel was drained from the right main tank and about 21 gallons of fuel were drained from the left main tank. Though the pilot said the right fuel gauge was not reading properly, he acknowledged that he should have monitored fuel burn rate over a given period of time versus relying on just the fuel gauge. The pilot's failure to adequately manage the available fuel supply, resulting in fuel starvation and a total loss of engine power. FAIRFIELD, New Jersey (WABC) -- A small plane crashed while attempting a landing at an airport in New Jersey Sunday afternoon but a New York City couple on board escaped without injury, authorities say. At about 12:15 p.m., the Fairfield Police Department received a call from the operations tower at the Essex County Airport reporting a plane crash having just occurred. Police say a preliminary investigation indicated that the Beech F33A Bonanza plane was being piloted by Tal Keinan, of New York City. He was attempting to land on Runway 10 when it is believed that the plane may have clipped a tree on its approach. Kienan and his wife, whose name was not released, were the only people on board and refused medical attention at the scene, police said. The pilot told police he had experienced some engine problems upon his approach. 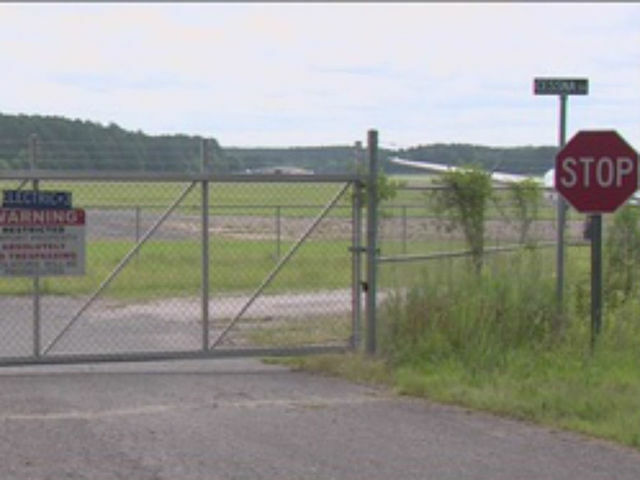 The airport and its runways were closed while authorities investigated the crash. 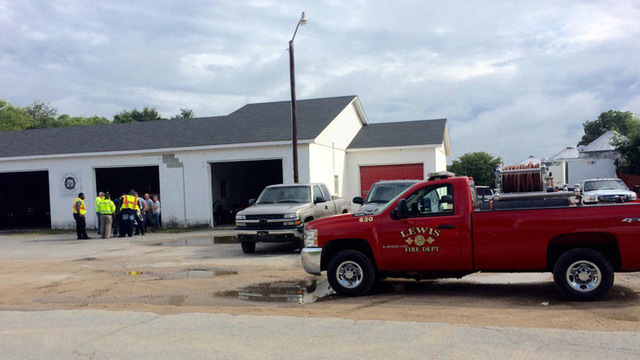 FAIRFIELD — A small plane crashed at Essex County Airport on Sunday afternoon, authorities said. Fairview police said first responders were called to the airport by the airport operations tower at approximately 12:15 p.m. and found a small single-propeller plane that had crashed into the grass near runway No. 10. Fairview Deputy Chief Anthony Manna said the pilot, Tal Keinan, 46, of New York City, was attempting to land his Beech F33A Bonanza on runway No. 10 when he may have clipped a tree during his landing approach. Both Kienan and the other passenger in the plane refused medical attention, Manna said in a news release. 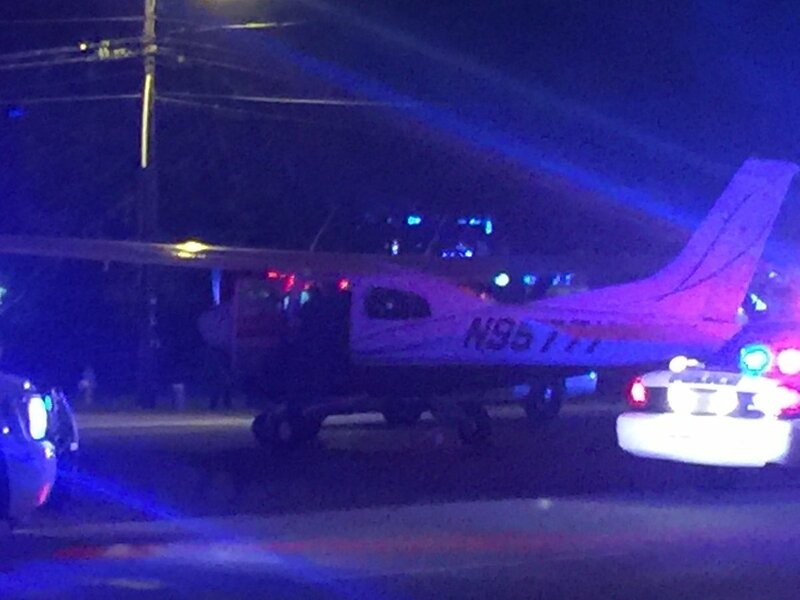 Keinan told police the plane experienced some engine troubles upon his approach to the runway as well, Manna said. The Air Force will conduct another large-scale exercise in the massive Powder River Training Complex in the Northern Plains and is warning of potential sonic booms that can rattle the walls and windows of homes. The training area covers nearly 35,000 square miles of airspace in the Dakotas, Montana and Wyoming — the largest military aircraft exercise space over the continental United States. Officials at Ellsworth Air Force Base in South Dakota say multiple types of aircraft will take to the skies Tuesday through Thursday, June 7-9, and cautioned that some aircraft could cause loud noises, including sonic booms. A sonic boom is a loud explosive noise caused by the shock wave from an aircraft traveling faster than the speed of sound. The website HowStuffWorks compares an airplane's sonic boom to a wake produced by a speeding boat. Being on the ground and experiencing a window-rattling sonic boom produced by sound waves is much like being on a lake shore and being hit by a large wave from a boat's wake. Supersonic flights in the Powder River Training Complex airspace are supposed to occur only during large-force exercises, such as the one scheduled this week. Those exercises are limited to once per quarter for up to three days, not to exceed a total of 10 days per year. All B-1 supersonic flying is supposed to occur 20,000 feet above mean sea level to minimize the severity of sonic booms. All fighter-jet supersonic flying is supposed to stay 10,000 feet above ground level. B-1s are allowed to fly supersonic in the airspace for about 30 seconds during 60 sorties throughout the year, or approximately 30 minutes per year. Fighters engage in an estimated 48 minutes of supersonic flight per year in the airspace. Several landowners and ranchers in southeast Montana and northwest South Dakota contacted this week by the Journal said they have not experienced any sonic booms since the military airspace was expanded in September. But some ranchers have complained that the training exercises disrupt their operations, and the South Dakota Stockgrowers Association in February petitioned Air Force officials to provide more information to ranchers. The Rapid City-based group is pleased with steps the military has taken to better inform ranchers, such as posting notices in local newspapers, said Executive Director Silvia Christen. She said more work is needed to improve communication between the military and ranchers who experience problems from low-level flights, but added, "for the most part I think we're on the right track." Northwestern South Dakota rancher Clark Blake said his ranch was inundated with as many as 10 to 12 loud, low-level B-1 bomber flights on some days after the airspace was expanded. After complaints arose, the flights seemed to stay higher, he said. The Federal Aviation Administration approved quadrupling the size of the training airspace in March 2015. 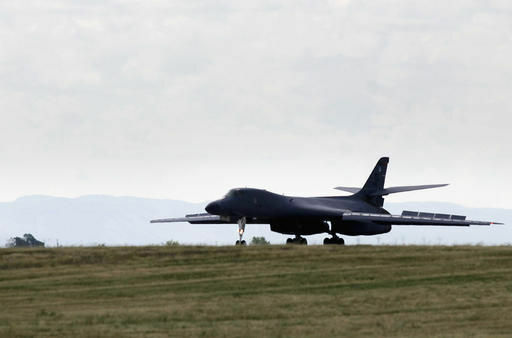 The expanded complex officially opened in September, with flying operations that included B-1 bombers from Ellsworth and B-52 bombers from Minot Air Force Base in North Dakota. The first large-scale exercise was in December, and the second was in March. This week's exercise will include six types of aircraft, from fighter jets to refueling tankers, and involve several hundred personnel from multiple bases, according to Lt. Col. Lanny Anaya, assistant director of operations for the 28th Operations Support Squadron at Ellsworth. "Honestly, it is a team effort," he said. The Air Force cautions non-military aircraft pilots to review the FAA notice of the exercise and avoid areas and altitudes where military planes will be practicing. Lately, you may have seen references in the paper as to the attempt by city management to impose Rules, Regulations and Minimum standards on the airport community. Pilots and airplane owners are among the most highly regulated, highly motivated and responsible people in our airport community. We are governed by the Federal Air Regulations (FARs), which are extensive in covering all phases of aviation. The city management is trying to paint an entirely different picture to residents. The Rules and Regulations that they are attempting to pass have nothing to do with the operation and maintenance of an airplane, nor do they have the authority to regulate anything already covered by the FARs. The Rules and Regulations document is onerous in that, depending on interpretation, it makes nearly everyone who steps foot on the airport guilty of some infraction. It covers such mundane things such as where one can drive a car and then where one may park their car, restrictions on using the parking brake on one's airplane, how to fuel an airplane, prohibits empty paint/oil cans in a hangar, prohibits grease spots on a hangar floor, and even tells us where and how we can park an airplane including in a hangar. There are many positive things that the city/airport management team could focus on. The airport infrastructure is out of date and in need of work. We have seen a rapid increase of business people coming to our town through the airport . The airport is the visible front door to Longmont for these folks, and we do not score very high in competition with other communities of our size. We need management that will seek out ways to make these improvements and get off of the negative path that is now being promoted. 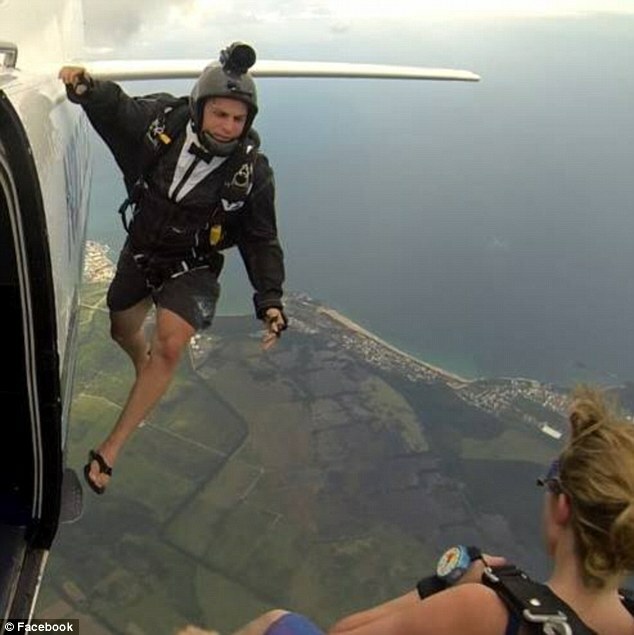 The skydiver has been identified as Bond Springer, 32, of Boca Raton, Florida. The family of a man who died while skydiving in South Carolina said he was an experienced skydiver with more than 400 jumps. Rescue dogs discovered the body of Bond Springer, 32, of Boca Raton, Florida Sunday morning, officials said. Authorities said Springer was executing an advanced wing-suit maneuver when he collided with another jumper Saturday evening. The 14,000-foot jump was reportedly one of the last of the evening during an annual festival held at Skydive Carolina in Chester, South Carolina. It’s unclear what led up to the men colliding midair. One of the men, Avalon Wolf, broke a leg while landing, but Springer; could not immediately be found. “We knew he would probably be hurt so we were planning on coming up there (SC) but this is a different coming home now,” said Springer’s mother over the phone. Officials said severe thunderstorms Saturday night forced them to suspend the search. “We did search the area as thoroughly as we could but because of the storms and severe weather and dense underbrush we needed a dog team in there,” said Ed Darby, who is the deputy director of Chester County Emergency Management. The search resumed around 7 a.m. Sunday and within two hours search dogs found Springer’s body. Darby said he was in a wooded area about a mile from the landing site. He added Springer’s parachute hadn’t been deployed. 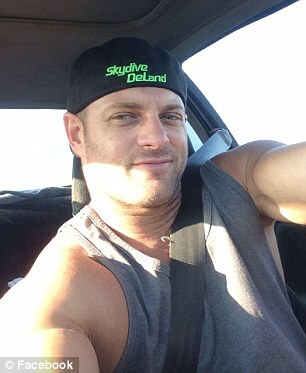 Bond Springer, 32, of Boca Raton, Florida, also leaves behind his girlfriend Christina, with whom he shares a 3-year-old daughter named Madisyn. Springer’s mother said her son had a free spirit and that spirit could easily be seen in his daughter. “She has his spirit,” said Springer’s mother. “No malfunction is believed to have occurred with any equipment and all was normal leading to the collision,” said operations manager Ryan Levesque, in a release. CHESTER, SC - LOWRYS, S.C. (AP) -- Deputies in South Carolina say a skydiver collided with another skydiver in midair before falling about 14,000 feet to his death. Local media outlets report that the body of 32-year-old Bond Springer of Boca Raton, was found Sunday near Skydive Carolina, a skydiving business in Chester County. LOWRYS -- Investigators have identified the man killed in a Chester County skydiving accident Saturday night. 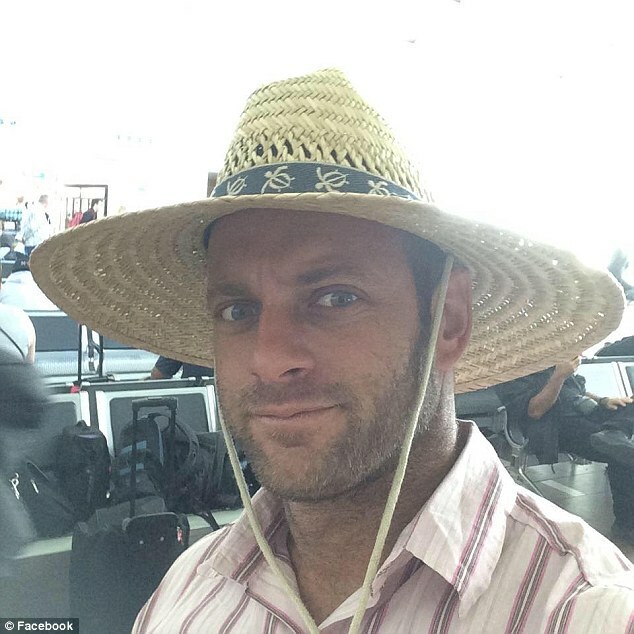 Bond Springer, 32, of Boca Raton, Fla., was found dead in a wooded area of Chester County not far from the Chester airport around 8:52 a.m. Sunday, almost 14 hours after a team jump from an airplane went fatally wrong. Springer, described as an experienced skydiver in a news release from the Chester County Sheriff’s Office, was skydiving over Chester County in a wing suit around 7:10 p.m. when he collided midair with a second skydiver. The other man landed when his parachute deployed and was transported by EMS with a broken leg, according to a sheriff’s incident report, but it was unclear where Springer had landed, and rescue crews had to be called out to locate him. Searchers had to call off their efforts to find Springer as storms rolled into the area, and they resumed the search at 7 a.m. Sunday. His body was discovered a short time later. Investigators are treating the area as a crime scene. Chief Deputy Robert Sprouse said it is standard procedure to begin an active investigation whenever a body is discovered in the county. The Chester County coroner was called to the scene shortly after the man was discovered. Both men were jumping as a part of the annual CarolinaFest skydiving festival. “Both skydivers in the incident were experienced and were executing advanced wing-suit maneuvers,” Skydive Carolina said in a statement. “No malfunction is believed to have occurred with any equipment and all was normal leading to the collision.” Officials did not say whether Springer’s parachute opened. 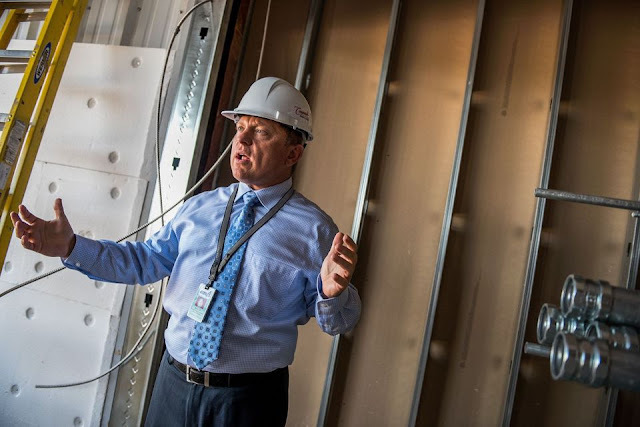 Concord Regional Airport director Rick Cloutier talks about a new terminal that is under construction and is expected to open for use later this year. CONCORD — Four different airlines are eyeing Concord Regional Airport, thanks to the construction of a new terminal and parking deck that should be ready to use by September. Concord Regional Airport is constructing a $6.5 million terminal that will be about 32,000 square feet. About 90 percent of the construction cost will be paid with federal funding and the rest will be split between state funding and the City of Concord. Concord’s portion will be about $325,000, according to Concord Regional Airport Director Rick Cloutier. A $5.7 million parking deck with 700 parking spaces is also being built. The parking deck will be funded by the City of Concord, which will charge parking fees to generate revenue. Concord City Council still has to vote on the parking fee structure, but Cloutier said the fees look to run $4 a day for uncovered parking and $5 a day for covered parking. “The revenue from the parking deck will surpass our debt service, which will increase revenue every year to the airport,” Cloutier said. Cloutier said that regional airports are revenue generators and for every $1 spent on airport improvements, that typically generates about $20 in product. Currently, the Concord Regional Airport’s economic impact on the region is about $200 million. But Cloutier can see that increasing. Allegiant Air is currently the only commercial airline service operating out of Concord, and the airport can handle about 10 flights a week. 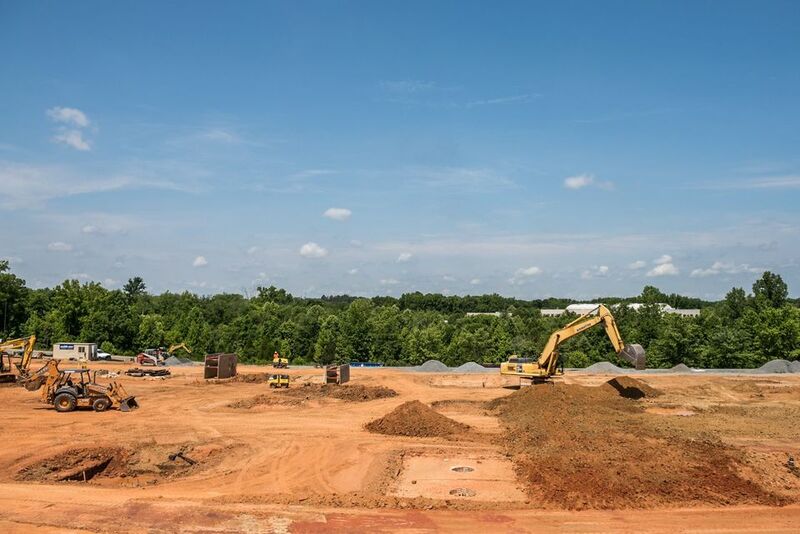 The construction of the new terminal and parking deck — which should be in operation by September — will allow the airport to offer up to about 30 flights a week. The increase could generate another $20 to $30 million a year in economic impact, Cloutier said. Cloutier said they are in discussions with four airlines interested in offering services through Concord Regional Airport. Because they are still in discussion phases, Cloutier could not say who the airlines were or the destinations they look to offer, but he did say services look to be to destinations in the north and to the west. “What I can tell you is we are in discussions with destinations we don’t currently service now and not projected to be served by the new Allegiant announcements,” Cloutier said. Allegiant Air is expected to make an announcement on June 28 about new destinations and additional flights to current destinations from Concord Regional Airport. Cloutier said they have four airlines looking, but the airport could realistically only accommodate two of the airlines. “It depends on their number of operations and how that works out with Allegiant’s increase of operations, but we could accommodate another two more, again with limited operations,” Cloutier said. Allegiant offers flights to the Orlando Sanford International Airport; St. Petersburg-Clearwater International Airport; and Ft. Lauderdale International Airport. Allegiant has had a huge impact on the airport. From December 2013 to about May 2016, Allegiant served more than 200,000 customers through Concord Regional Airport. Of those customers, about 32 percent come from “away airports,” Cloutier said. He said there are many residents from Florida who have family in Cabarrus County and customers also fly to Concord for the local attractions, such as Charlotte Motor Speedway. But patrons also uses Allegiant, because of its cheap flights, flying into Concord to then make plans to travel in the region. The average flight on Allegiant at Concord Regional Airport is $55 one way. People fly into Concord, get a rental car and travel to Boone or Childress Vineyards and other destinations. Concord Regional Airport has grown so much over the years — with general aviation traffic and Allegiant’s commercial flights —officials are having to increase the number of firefighters assigned to the airport. Federal regulations show Concord has grown enough they will now go from four firefighters dedicated to the airport to nine. City Council is currently in its budget discussions which includes money for the airport. Cloutier is requesting a budget of $750,000 to pay for the additional firefighters. That will include the one time purchase of equipment associated with hiring the new firefighters. The need for more firefighters is compounded by the addition of the terminal and parking deck, which will only increase the airport’s growth in activity. The increase is also pushing Cloutier to budget for five full-time police officers dedicated to the airport. Currently, the airport does not have dedicated officers, but use off-duty police officers. Cloutier requested $550,000 to budget for the new officers and their equipment and police cars. Concord Regional Airport expects to receive reimbursement from TSA for $20 per hour per officer, which works out to about $207,500 a year in reimbursement. The expansion of Concord Regional Airport will make it comparable in size to the Asheville Regional Airport, Cloutier said. 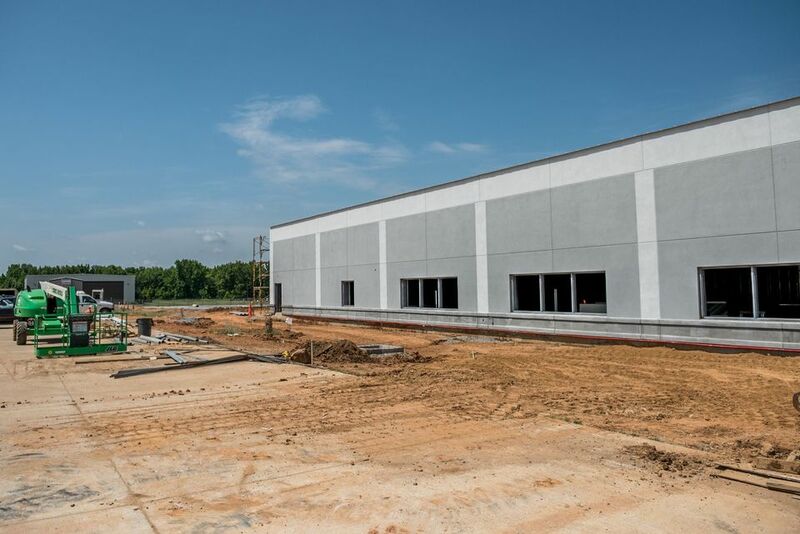 The new terminal will have a concession stand area, as well as a visitors center provided by the Cabarrus County Convention and Visitors Bureau, and space for two rental car services. Airport officials are already anticipating the need to expand in the future because of the demand patrons and airlines have for the location. 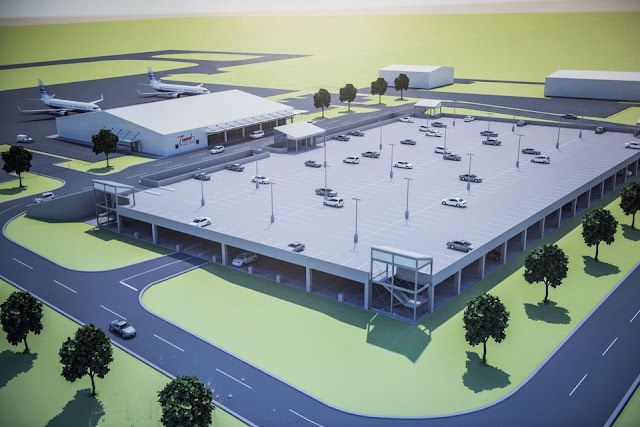 There is room to expand the terminal enough to be able to add another 25 flights a week down the road and expand the parking lot to accommodate another 550 parking spaces. Billy Werth flies a Pitts S2 as his brother, David Werth, rides a motorcycle alongside him and reaches out and touches the plane. The Werths’ aunt saw them perform for the first time on Saturday during the Kirtland Air Show. 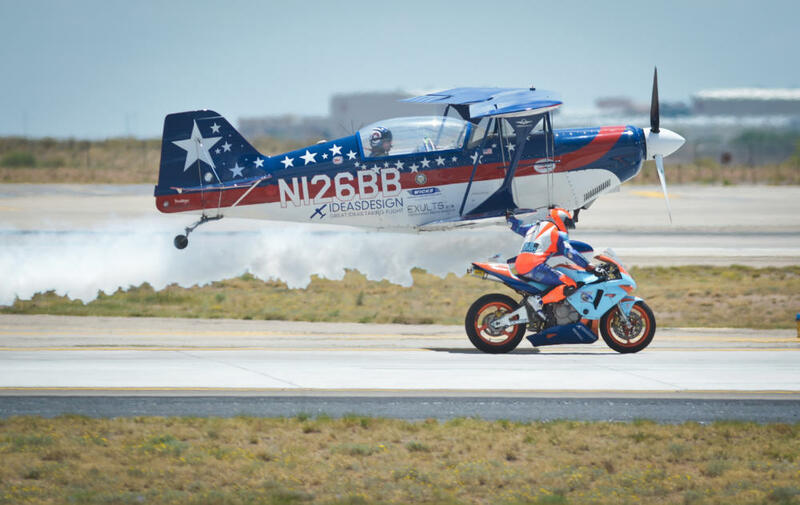 KIRTLAND AIR FORCE BASE – The plane engines revved hot and the asphalt baked in the New Mexico sun on Day One of the 2016 Kirtland Air Show, the first show at the base in five years and part of the base’s 75th anniversary celebration. Locals and visitors on Saturday mingled with airmen and peeked at their aircraft, sights that ranged from helicopters and bombers to massive cargo planes. Then a huge crowd settled in to watch pilots showcase their talents in a series of shows that ran all afternoon. Kirtland estimated that 42,000 people turned out for the event. Aircrews for the various types of aircraft stood by their planes or helicopters and answered questions about the equipment. Hock, who specializes in helicopters, shared a video of himself flying back from Afghanistan while refueling the helicopter mid-flight, in a storm, over the Atlantic on the way to Bermuda. A hose latched onto a refueling plane flying above his helicopter. The air show, which is free to the public, continues today. Gates open at 9 a.m., and the shows start at 10:30 a.m. with a parachute act during the national anthem. That’s followed by the comedy act of Kyle Franklin, who plays the role of a drunken guy who sneaks onto the runway and steals a plane. He then flies so the plane swerves up and down and side to side just off the runway while the announcer acts as if everyone’s about to witness a catastrophe. The show is being held this year to celebrate the 75th anniversary of Kirtland Air Force Base, the premier training site for Air Force special operations, and combat search and rescue aircrews. Annie Kornegay of Albuquerque said it was “majestic” to take her 1- and 3-year-old grandchildren through a C-5 cargo plane. The children’s father is in the military and stationed in Saudi Arabia. “You do get a visual of who sits in these planes and for what purpose they’re in there for,” she said. Jonathan Hernandez, a software engineer from Albuquerque, toured planes in the morning with his 2-year-old son. The aerial performances over the runway drew a large audience. People crowded around one another, some wise enough to bring umbrellas for shade. Some of the demonstrations included a DC-10 air tanker flyby that dropped water on the runway, and a stunt performance by brothers Dave and Billy Werth. Dave drove a motorcycle down the runway, and Billy, the pilot, flew a plane upside down over him and got so close that Dave reached up and touched the plane. Their aunt, Sandy Nebl, of Pueblo, Colo., made the trip to Albuquerque to see her nephews perform for the first time. The Thunderbirds, an Air Force air demonstration squadron, had to cancel their 75-minute performance after one of the planes crashed on Thursday during a U.S. Air Force Academy commencement ceremony attended by President Barack Obama. The pilot ejected safely. Along with the planes and performances, several vendors are selling food and drinks. Everything’s cash-only, and ATMs are available. If you plan on heading to the show today, brace for another hot one. The National Weather Service is forecasting a high in the mid-90s. There are portable water tanks throughout the show area. Saturday’s high temps didn’t bother Geraldine Guerrero of Albuquerque and her three boys, who are 6, 8 and 11. The family sat down on the concrete to watch the performances. If Detroit Lakes and Becker County go along with the plan, the long-delayed runway extension project at the city-county airport will take flight at last over the next few years. The Detroit Lakes-Becker County Airport Commission has endorsed an $18 million plan that would widen and extend the runway, while also moving it away from Highway 10 and the Burlington Northern Santa Fe Railway corridor. A number of county commissioners and city council members attended a special meeting on the proposal Wednesday. Under the plan, the 4,500-foot Runway 13 would expand to 5,200 feet. It would extend across Airport Road, which will be closed, and displace 16 acres of wetlands to the southeast. Property acquisition will be required on both ends of the runway. The project involves about a mile of pavement and a half-mile safety zone clearance on either end of the runway. The airport will remain open during the construction process. Federal funds are expected to pay 90 percent of the project cost, and state funds are expected to pay 5 percent. The project is near the top of the FAA priority list, which usually means funding will be approved, said Airport Commission Member Mark Hagen. MnDOT Aeronautics state funds are guaranteed through 2017, he said. The 5 percent local share will be split 50-50 between the city and the county. Depending on interest rates, and whether the local entities decide to float a 15-year or a 20-year bond, each would have annual payments of between $65,000 and $87,500. The longer runway, with a parallel taxiway, will lift the city-county airport into the same category as all other Minnesota communities of its size, including Park Rapids, Fergus Falls, Alexandria and Brainerd. It is expected to more than double the number of aircraft using the airport, from fewer than 400 to more than 850 each year, according to a presentation by Bryan Page, a principal with Mead & Hunt consulting. The firm has been working its way through an updated environmental analysis of the airport project, working closely with as many as 25 state and federal agencies. In the end, it will propose the expansion plan with the least environmental impact. The Federal Aviation Administration and the U.S. Army Corps of Engineers will have the final say on the project. A public meeting on the proposed plan is set for 6-8 p.m. July 6 at Detroit Lakes city hall. The project timeline is tied to the city’s new wastewater treatment plant. Existing treatment ponds on airport land can be used for on-site wetland mitigation, saving substantial dollars, Page said. But the city continues to use the open land at the airport for wastewater irrigation and treatment, and will do so until 2019 or 2020. Airport Road is destined to close even if the city and county decide not to expand the runway, Hagen said. ‘There’s no doubt,” he said. That’s because the runway will be moved away from the Highway 10-BNSF railway corridor no matter what, and Airport Road is in a safety impact zone. The airport is vulnerable to multi-million dollar lawsuits under the current set-up, even with a long-standing FAA waiver. If the city and county reject the runway extension, the runway will still be moved away from highway 10 and will have to be shortened to 3,500 feet, Hagen said. If the city council and county board approve the plan and the budget, the first phase of construction will start next year, with remaining construction phases scheduled for 2018 to 2020.